Find amazing merchandise at one of Allen’s Auctions. We hold local auctions of fine antiques as well as separate auctions for farmers at three locations in the Charlotte, North Carolina, surrounding areas. This is a great opportunity to unload unwanted merchandise for easy money or get a great price on something you’ve always wanted. Come by the Stony Gap Auction House in Ablemarle every first and third Friday at 7:00 p.m. for fine antiques and collectibles. Do you have items you want to sell, but aren't sure if it would be worth it? We offer evaluations of merchandise you may be interested in liquidating. We can come to your location or you can bring it to us. Our sellers receive the best rates possible for antiques and collectibles. Whether you are looking to find an interesting talking piece, or looking to get cash for old furnishings, you’re sure to find an amazing deal. 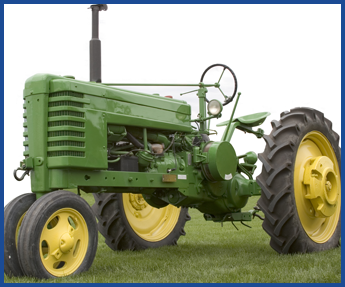 Allen’s Auctions is the local farmer’s source for high-quality farming equipment, small animals, and dealer draw items. We hold two auctions every Wednesday, the first at the 11 Acre Flea Market in Thomasville at 9:00 a.m., and the second in Gold Hill Auction Barn at 6:00 p.m. All inventory is inspected by our auctioneers to ensure quality.